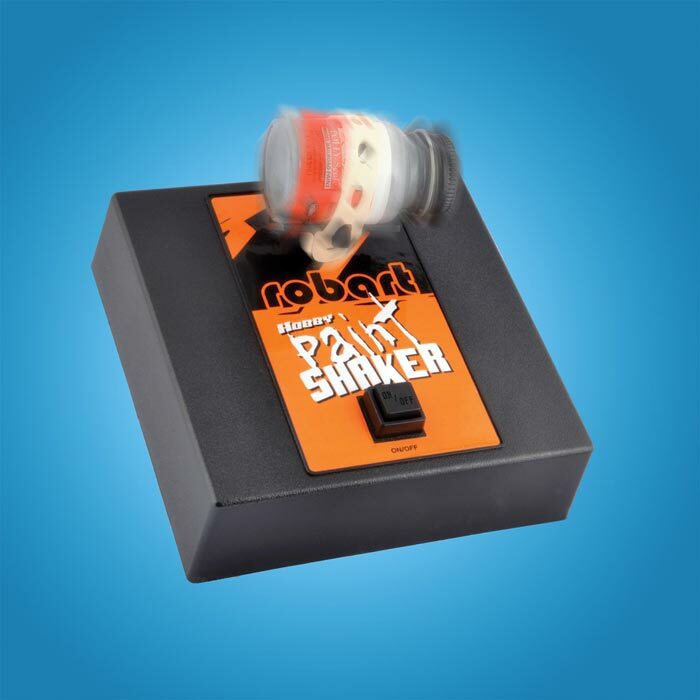 Shakes better than by hand. 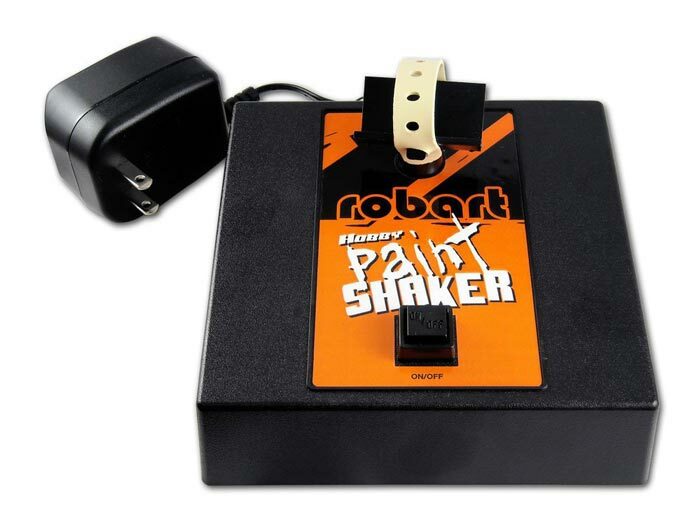 Operating at 5000 shakes per minute, the Robart Hobby Paint Shaker perfectly blends paints for smooth application with brush or spray equipment. For use with 1/4 oz. to 2 oz. paint bottles.